Don't let the sales statistics from August fool you, we are heading into a shifting market quickly in the Eugene and Springfield area. 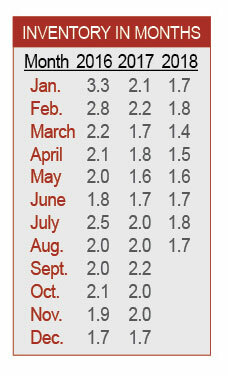 The months to come certainly may see slower home sales with more pressure on home prices and longer times on the market. Home prices over the past several years have increased too rapidly and have outpaced buyers ability to purchase. In the past, this scenario has always created a market adjustment. If you are needing to sell a home now, you should be pricing your home accordingly. Don't think that you can price above this current market and expect a sale. Here are the August sales numbers. Lane County saw some gains in closings and new listings this August. Closings, at 575, outpaced August 2017 (519) by 10.8% and July 2018 (491) by 17.1%. It was the strongest August for closings in Lane County on the RMLSTM record, dating to 2001! New listings (711) saw a 4.6% gain over the 680 new listings on the market last year in August 2017 and a 9.4% gain over the 650 new listings on the market last month in July 2018. Pending sales, at 505, showed a 3.8% decrease from August 2017 (525) and a 7.5% decrease from July 2018 (546). Inventory edged down to 1.7 months in August, with total market time increasing to 36 days. Comparing the first eight months of 2018 to 2017, closed sales (3,564) have increased 4.1% and pending sales (3,772) have increased 0.9%. New listings (4,762) have decreased 0.4%. Comparing 2018 to 2017 through August of each year, the average sale price has increased 6.3% from $288,900 to $307,200. 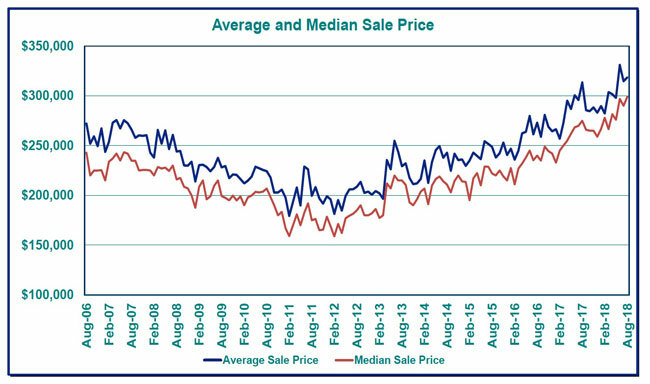 In the same comparison, the median sale price rose 7.9% from $259,900 to $280,500.